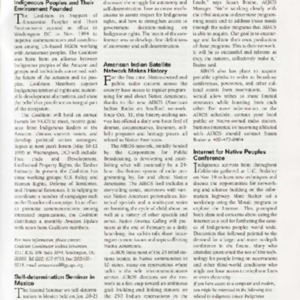 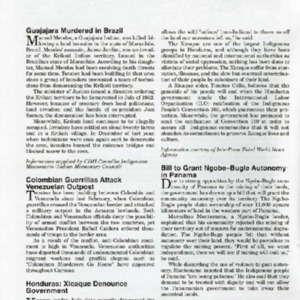 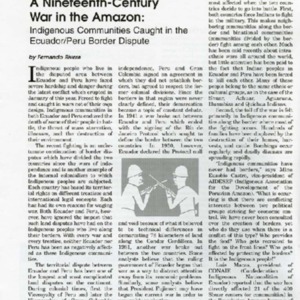 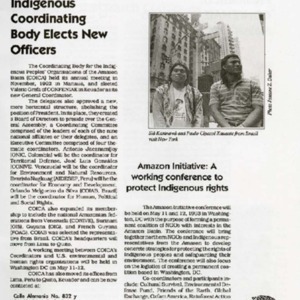 Keywords: : Amazon, Coalition in Support of Indigenous Peoples and Their Environment, Human Rights, Reservations, Washington D.C. 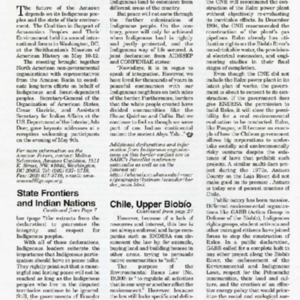 The Coalition in Support of Indigenous Peoples and Their Environment, made up of US-based NGOs in Washington, D.C. is established. 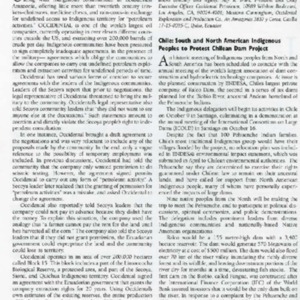 SAIIC interviews Valerio Grefa, who became the new Coordinator of the Coordinating Body of Indigenous Peoples' Organization of the Amazon Basin (COICA). 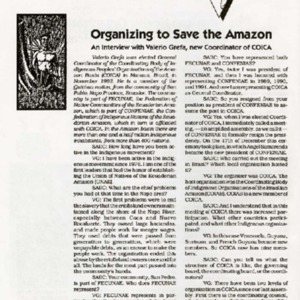 The Coordinating Body for the Indigenous Peoples' Organization of the Amazon Basin (COICA) held its annual meeting in Manuas in November, 1992. 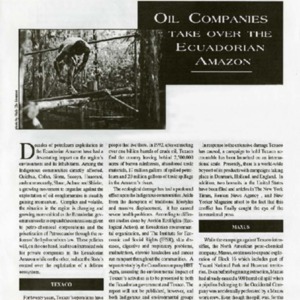 Delegates approved a new structuring to the organization that was more horizontal in nature. 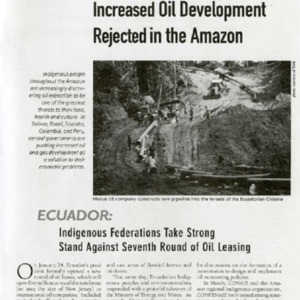 This article details the accounts of the United States based oil company, Occidental, attempting to persuade indigenous peoples to allow them to use the land for monetary gain. 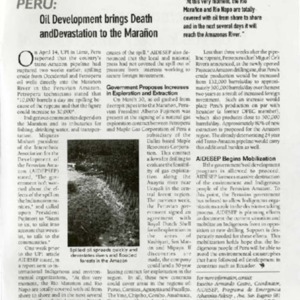 The Coalition in Support of Amazonian Peoples and Their Environment met to discuss long-term efforts to support Indigenous and forest-dependent peoples.